History is a contemporary construction about the reality of the past, rather than a direct representation of it and heritage tourism sites seeks to provide this realistic (re)construction through interpretation. In his recent book Russell Staiff (2014) (Re-imagining Heritage Interpretation: Enchanting the Past-Future) explains this by suggesting that a new heritage story is constructed and superimposed on the historical narrative it draws from. The historical chronological narrative is merely facts, and facts do not capture the imagination or stir emotions. 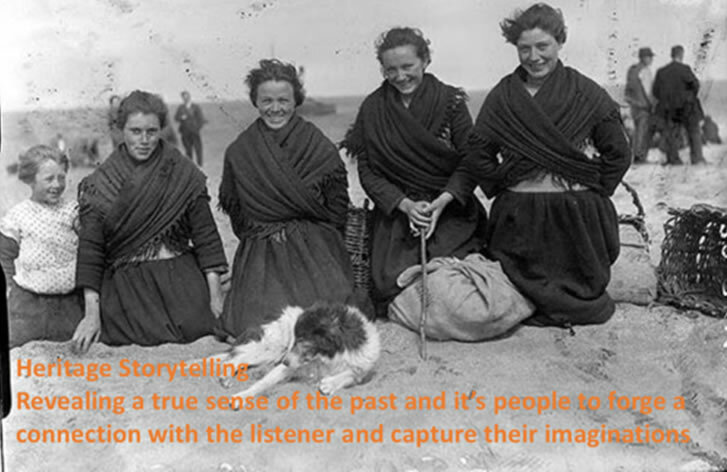 The heritage storyteller synthesises all available material to interpret and represent the historical context and whilst simultaneously creating an interesting story that people can relate to. They can maintain allegiance to the the facts and create authenticity, whilst simultaneously enriching the story context to produce a very similar and imaginative story. If it is human nature for us to remember stories, the way to get tourists to positively remember your business, is to make their visit personal and meaningful through stories. Why is the story better? In nine sentences, it informs and educates the tourist of the context (history), whilst also positioning the individuals story in that context (heritage). Tourists can relate to and remember, the plight of another person much more readily than a mere list of facts. Therefore, as heritage attractions create the experience around their stories, the key is to find and share the right stories – those that resonate with tourists and actively engage them in the experience. History – as a series of dates and events, is what we learned in school! Tourists are not interested in or motivated by, this chronological account. They want to understand and relate to the site on a personal level – they want to relate to you on a personal level. The answer is to tell them a story about the local people that allows them to forge a connection with the place both mentally and emotionally.